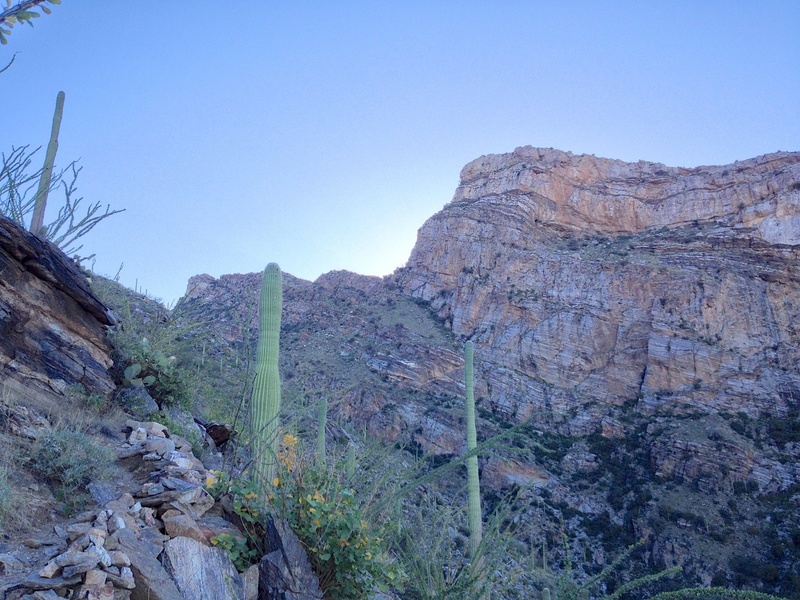 -Work up Pontatoc Canyon (the canyon to the right) and look for the trail leaving the canyon on the left. 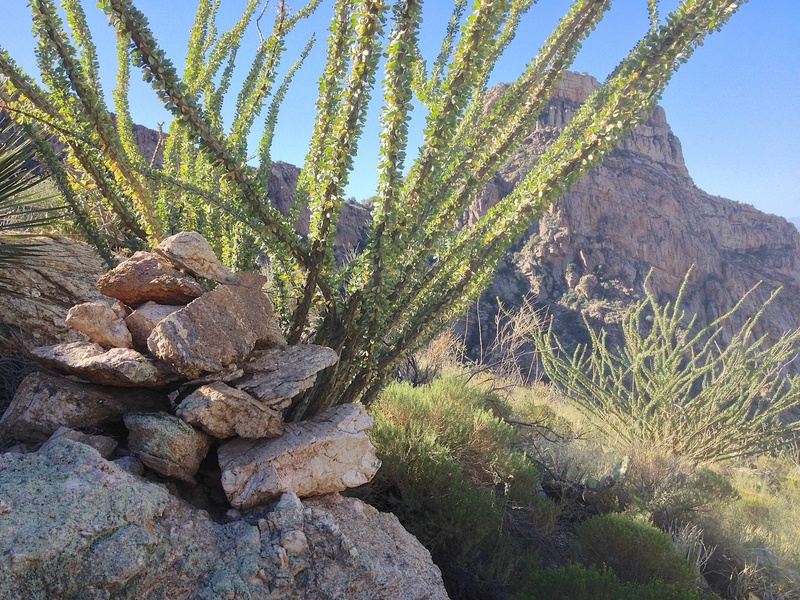 -Find the trail on the opposite side of the canyon, this short section climbs and then enters the wash again to avoid the short/steepish section of rock in the canyon (that go up if you stay in the canyon). 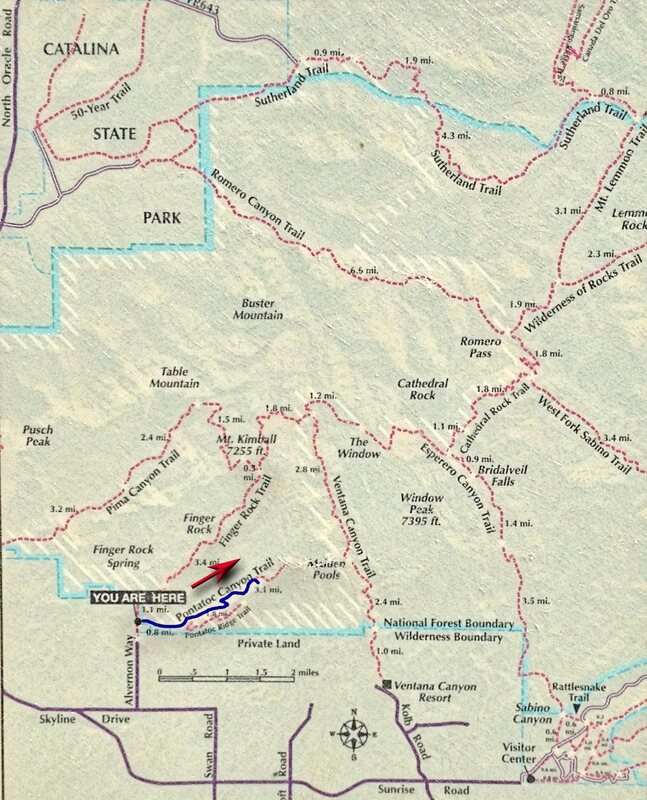 This page – http://cmiles-outside.info/view/Pontatoc_Canyon_Trail – has a picture of the ‘official’ end of the trail and links a GPS track that might help you follow the trail next time. 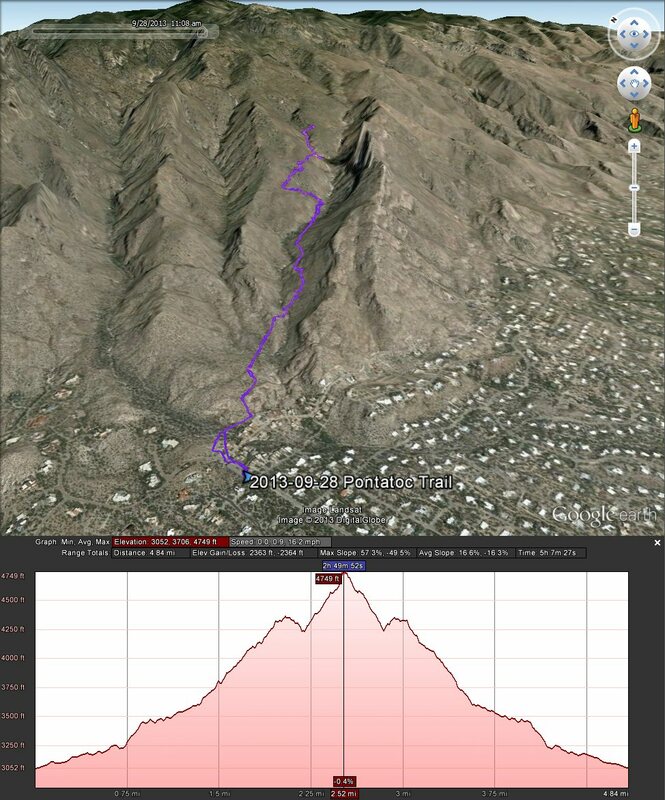 This description – http://hikearizona.com/decoder.php?ZTN=563 – has description/information/tracks/trip reports on the trail and also an off-trail suggestion to extend the hike into a lovely area above the official end of the trail (this area in is the Bighorn Sheep Management area so off-trail travel is not appropriate Jan-April – really a non-issue in recent years with the sheep considered extinct in the range, but relevant again in 2014 if they go ahead with a planned relocation of sheep into the range late this year). Thanks Charles for the info, as that helped a lot. I should have gone up the right fork and then left up the center ridge as you did. That’s where I did see the faint trail in Google Earth. It seems most people simply end the trail at the confluence of the two washes. Also nice to see that the trail beyond that point is official and that they have an actual end of trail marker. If I had known the trail officially went past that point, I would have definitely looked harder for where it continued.